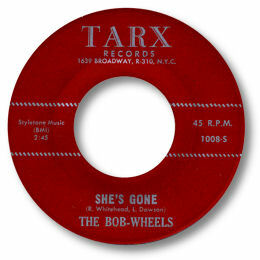 This totally obscure New York group just had this one release on Tarx, and since the dance crowd like the easy midpaced “Love Me” you’ll have to pay a lot of money to get hold of the much better She’s Gone. Although there are many doo-wop influences in this fine ballad the vocals are pure soul, especially the impassioned lead. The way other members take their turn at the front mike lends the song colour and interest, as does the occasional blast from the horn section. A record to enjoy time and again.